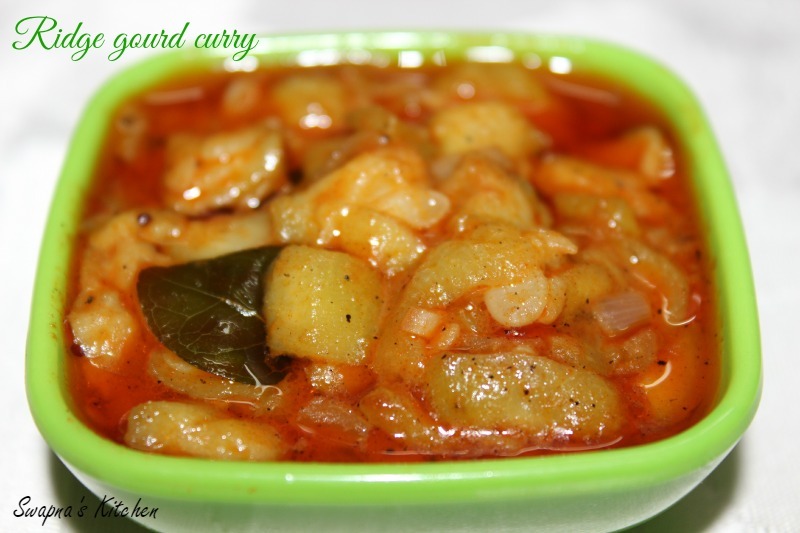 Ridge gourd is known as Peerkangai in tamil.Ridgegourd is low in saturated fat and high in dietary fiber.It has a high water content making it a very low calorie vegetable.Some Ridge gourds are bitter to taste,so it is very important to buy tender Ridge gourds for cooking. Wash the Ridgegourd first.Using a peeler,peel the skin and cut them into small pieces with the seeds. ( do not discard the seeds) Heat oil in a kadai,add the mustard seeds,urad dal.When they splutter add the curry leaves,onions and saute for a min on medium flame. Add the ridge gourds and saute for 2 mins on medium flame.Now add the turmeric powder,chilli powder,pepper and salt. 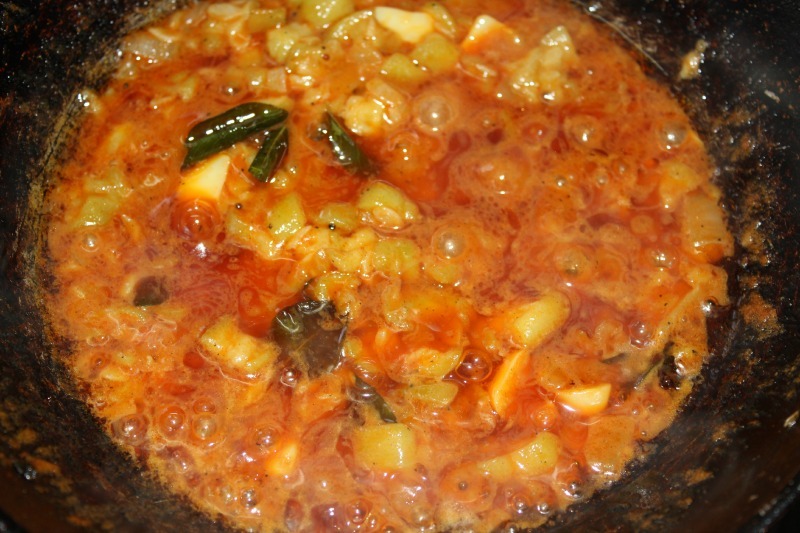 Cook for 10-15 mins on low flame ,stirring occasionnaly.Do not add water,as the ridge gourds will leave lot of water which is enough to cook them. 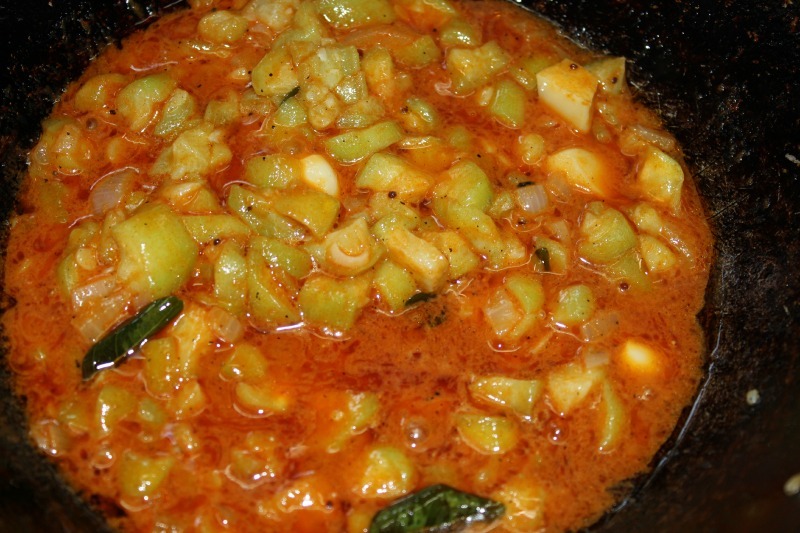 Oil separates when they are cooked.Ridge gourd curry is ready to serve.